Marketing Lists via text messaging campaigns are among the most effective ways of reaching customers and potential customers. With just your smartphone at hand, you can create enthusiasm for your products or services immediately. 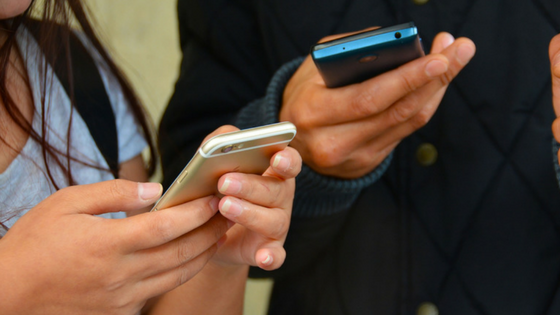 But the only way you’ll succeed at text message campaigning – which is known in the business and advertising communities as SMS, or Short Message Marketing – is to have a carefully-compiled marketing list. First of all, what makes a text message campaign so helpful to small businesses? The main reason is that so many people will see the texts you send them. You could hang a sign in a store window on the busiest street in town, yet many people would simply walk right by it without noticing. In contrast, studies have shown that over 90% of people, as high as 95%, will open and look at a texted ad at once. There are more benefits to text messaging ads, too. They’re friendly to the environment. They make your business seem cutting-edge, even ‘cool.’ They’re cheaper than many other forms of advertising – including TV spots and, believe it or not, traditional flyers! They’re interactive: people can respond to you right away with questions, comments or suggestions, and you can answer them right away. Perhaps best of all, people who are intrigued by your texts may share them with their contact lists via Facebook, Twitter, etc. Thus, those people will do additional advertising for you, for free! You can also get people to agree to receive your texts by including sign-up sheets on your website and social media sites, and by having your employees ask your customers if they’d like to receive texts. There are even iPad apps specifically designed to manage in-store sign ups and people like using iPads and tablets so it’s an easier way to get them to give you their information. But to reiterate, you should never text a customer without their permission beforehand. An unsolicited text message can make customers feel violated, and rightly so. Plus, this practice probably goes against your carrier’s rules, and may even be unlawful where you live. Never pressure anyone to join your text marketing list, either, and instruct your employees not to pressure anyone. Further, there should always be a simple way for your customers to opt out of getting your texts should they change their minds about it. In order to make more people want to be on your text message marketing list, you have to offer them incentives, incentives they can’t receive any other way. Maybe they get a special discount or coupon, or maybe an exclusive freebie – three slices of pizza for the slice of two, for instance – or maybe you’ll even set up special times during which they can come into your establishment, times when the place is otherwise closed to the general public. Once you get the hang of text marketing, you can start having fun with it. For example, you might set up a contest in which the tenth person to text you back receives a prize. Or if you own, say, an ice cream parlor, you could create polls to discover your customer’s favorite flavors. You might even set up a weekly poll in which you pit one flavor against another. Be creative! If you’re not aware, SearchBug offers a free text messaging service that you can use from your computer. Get up to five (5) free texts daily or subscribe for only $5.97 a month for unlimited texts.